One of the Top 10 Pizza Franchises in the nation! Did you know we have coupons for one of the Top 10 Pizza Franchises in the nation? It’s True! 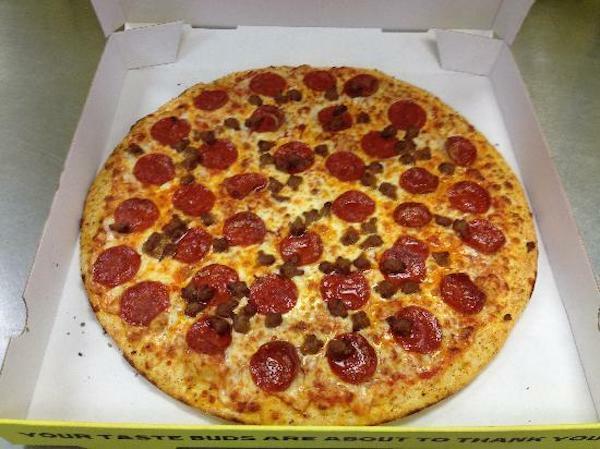 Hungry Howie’s Pizza has over 35 years of experience and has nearly 600 locations in 21 states! Starting in Michigan, Hungry Howie’s has concentrated on a steady growth while maintaining pride in the food they prepare for their customers. There are two locations in Greater Fort Wayne and they even offer catering for those of you looking to throw an event or party! With pizzas, subs, salads, wings, and rolls… you can’t go wrong and your event or party will be the talk of the town! Don’t forget to check out our coupons for Hungry Howie’s in the current issue of Money Saver Magazine!